The technological advancement gained by real-time 3D/4D ultrasound allows clinicians involved in prenatal diagnosis to reconstruct high-quality imaging of embryo and fetus, resembling anatomical reality. 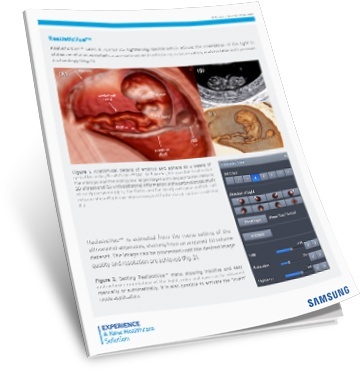 Recently, Samsung ultrasound systems have been equipped with two advanced rendering technologies, namely RealisticVue™ and CrystalVue™. The use of these 3D/4D technologies enable physicians and sonographers to obtain detailed anatomical information during fetal ultrasound examinations.